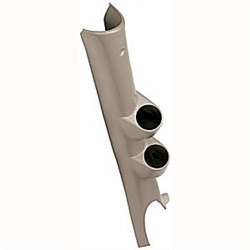 This Dual gauge pillar pod from Autometer is taupe in color and has a factory fit and finish. Great product, easy install, the only thing I think could be improved on is the screww that holds it in. It would look better if it was like the stock peice, or had a small cap to cover the screw.